Today’s society demands that teachers engage students through different learning methodologies. No longer is it acceptable for students to sit in class and take notes as their sole source for learning. This method has demonstrated that students simply learn material for the test but cannot apply it two weeks later. Research has proven that students must actively engage in their learning in order for them to be able to apply the information over a lifetime. Forever Learning’s curriculum provides teachers with lessons that engage students through research based teaching methods. GrammarActive® capitalizes on students’ abstract thinking by utilizing learning activities that build from Piaget’s concrete stage to the abstract stage. Many scientists who study brain physiology have determined that, “appropriate hands-on active learning experiences are important to nurture such growth. Dull, passive experiences don’t help” (Sprinthall and Sprinthall, 1998). GrammarActive® places active learning exercises directly in the curriculum. These activities compel students out of their seats and physically into the learning process. 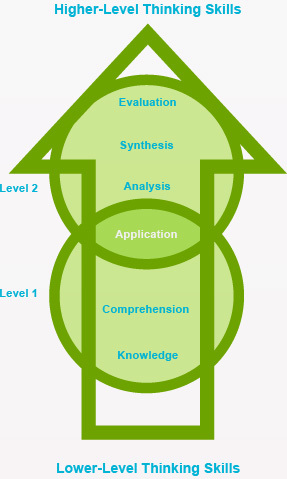 Likewise, the work of Bloom and his Taxonomy for Questioning, guide the momentum of this curriculum. The learning activities build from factual knowledge through comprehension and application stages, and culminate with students analyzing, synthesizing, and evaluating new material (Sprinthall and Sprinthall, 1998). Neurologist, Dr. Judy Willis has conducted numerous studies regarding how the brain processes new information. Dr. Willis’s best advice for teachers in the classroom is to make lessons relevant. When lessons are relevant and engaging, students are able to make connections and tie new information to information already learned. Dr. Willis contends that when new information is presented in an abstract format and difficult for students to make connections, students tend not to retain the new information (Willis, 2007). GrammarActive® provides teachers with engaging, scaffolding lessons that build on students’ prior knowledge. 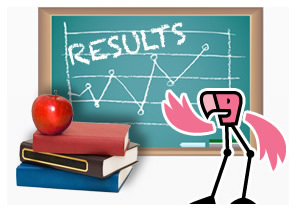 Students are able to make positive learning associations through the many reinforcement activities such as, grammar golf, soccer, bowling, tic-tac-toe and Graboom™ that are built into GrammarActive® lessons. Like Piaget, Dr. Willis’s research supports that students learn best when independent discovery is provided in the lesson. Students are motivated when they are challenged by the learning material to move to the next level of thinking. Willis and other education theorists have also proposed that students retain what they learn when the learning is associated with strong positive emotion (Willis, 2007). GrammarActive® lessons provide students with these opportunities through fun and competitive games and activities that motivate students to learn the information necessary to help them meet the next challenge. GrammarActive®’s curriculum utilizes brain research and offers active learning lessons to ensure effective student comprehension. The Education Commission of the States’ and the Dana Foundation hosted a workshop entitled, “Bridging the Gap Between Neuroscience and Education,” which highlighted the importance of brain development and how it affects classroom teaching. Many scientific researchers and educators gathered together in Denver in 1996, to determine how the classroom should reflect the latest research. The one conclusion that was clear is that teachers must have active learning in their classrooms. Rote memorization still has its place for multiplication tables, etc., but students who are actively engaged in learning make superior associations and are able to put new information to use in the future (Education Commission of the States, 1996). These discussions spawned new research into how the brain processes new information. Howard Gardner’s work in the late 1980s encouraged educators to acknowledge and capitalize on the various learning styles of students. His work opened doors to creative, active learning that engages students’ multiple sensory capabilities (Gardner, 1989). GrammarActive® embraces Gardner’s theory and provides lessons that physically move students out of their seats to participate in the lessons. Students are encouraged by this curriculum to make associations and think outside of the proverbial box. The scaffolding of the lessons builds to students engaging their creative thoughts and sharing them during the lessons. (Education Commission of the States, 1996). GrammarActive® reaches multiple learning styles by using visual, verbal, tactile, and kinesthetic lesson activities differentiated into three different levels. GrammarActive® taps into a student’s desire to be fully engaged in the lessons. It provides teachers with an easy-to-use, research based and tested curriculum that will improve their classroom teaching by captivating their students, maximizing learning, and improving overall written and verbal communications skills critical to a successful education. Research overview contributed by Roanthi Tsakalas, Ph.D.
Biehler, R.F., Snowman, J. (2003). Psychology Applied to Teaching, 10th ed. Boston: Houghton Mifflin. Education Commission of the States, Charles A. Dana Foundation. (1996). Bridging the Gap Between Neuroscience and Education: Summary of a Workshop. Gardner, H. (1989). To Open Minds. New York, New York: Basic Books. Goldman, S. R., Cooper, J.M., Leighton, M.S. (2005). Classroom Teaching Skills, 8th ed. Boston: Houghton Mifflin Company College Division. Sprinthall, R.C., Sprinthall, N. A. & Oja, S.N. (1998). Education Psychology: A Developmental Approach, 7th Edition. Boston, MA: McGraw-Hill. Willis, J. (2007). The Neuroscience of Joyful Education. Educational Leadership, 64.